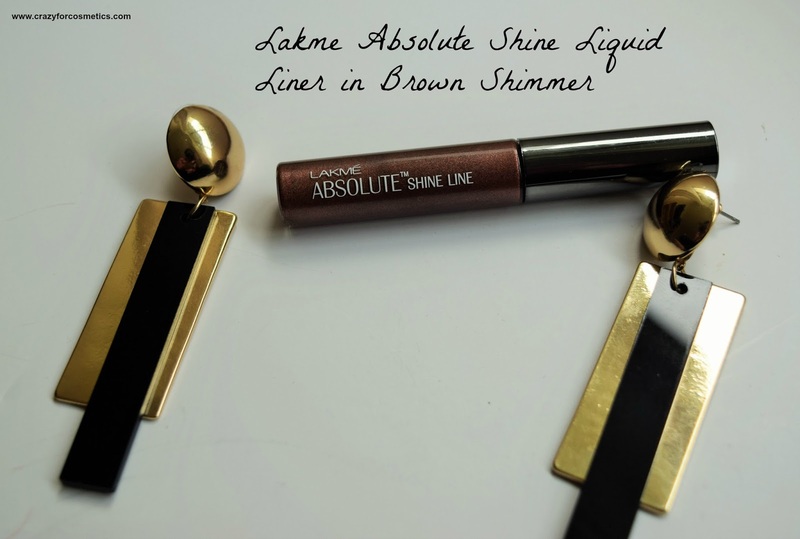 The Lakme liquid liner comes in a long plastic packaging that fits easily into tiny spaces and is super light weight.The lower end is transparent which reveals the shade, and the name of the shade is indicated at the bottom. 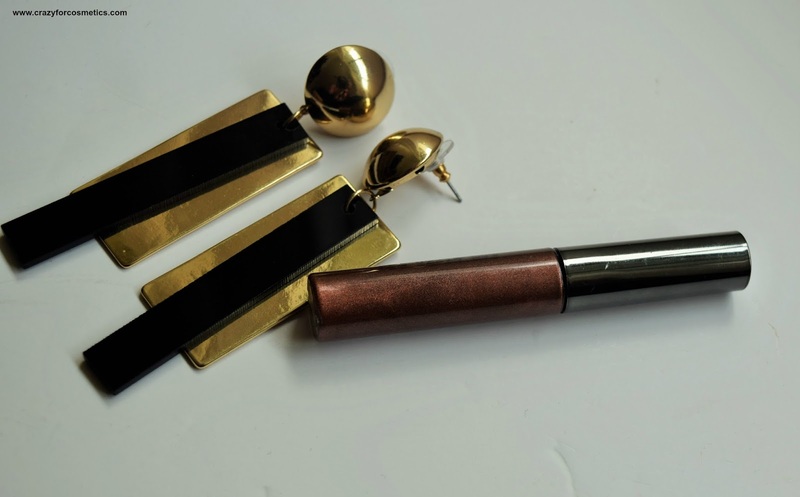 The eyeliner's wand is really thin and it helps to create uniformly thin or thick liner as per your wish. 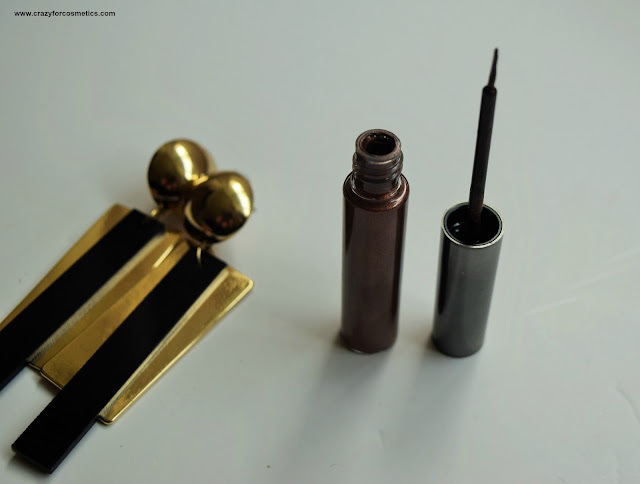 The liner is dark brown with mild shimmers, which looks super classy for evening makeup. The eyeliner might not be very visible for those with darker eyelids but once you conceal your darkness & use a primer, it will be more prominent.The liner is for those who prefer a natural eye makeup with a little twist. The eyeliner is not waterproof and it can easily come off even if little water or sweat falls on it. The liner can tug your eyelids for some time when you wear and you have to wait for some time for that feeling to go away which is a bit strange. The shimmer is very mild and it kind of gives it a nice glow. 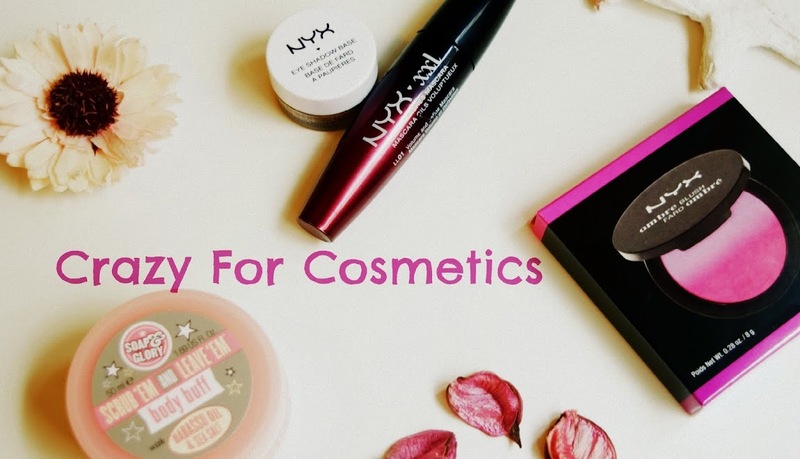 The eyeliner is suitable for people with clearer eyelids or you need to conceal the darkness so that it pops out nicely. 1 : Very compact packaging. 3 : Mild shimmery effect. 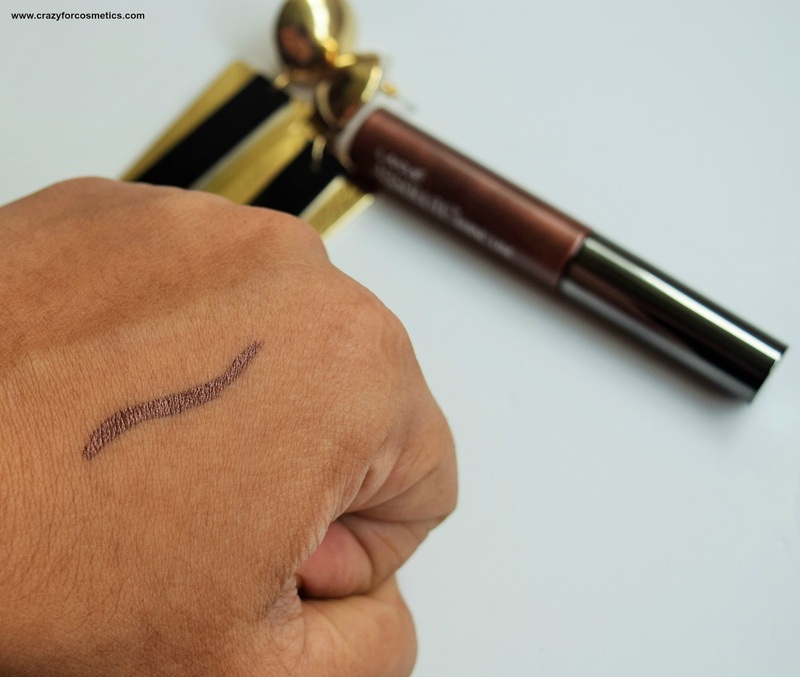 4 : Those who don't like dramatic black eyeliner, can use this. 1 : Not waterproof and can easily be removed with sweat. 2 : Takes time to dry and tugs the skin a little.